Here is a drawing of an ahkio developed by the Finnish Army during the 1920s. All measurements are in millimeters. Send me a PM if you require the drawing in larger resolution. The second and third drawings are from the English version of the Wehrmacht winter warfare manual. Only seeing one of the three images. I use a similar system for lashing down the tarp on top of the gear. But augmented by making hooks along one side, not loops, so that the lashing can be completely disengaged when you're trying to get something from the middle of the load. Still, very cool to see a similarity. I'm not sure the shape is that great. Ever try to pull a canoe across the snow? Pretty laborious. That design sketch would work well if the snow was hard and the sled was supported on the center plank. But not so well in deep soft snow. The Inuit obviously took an alternative design path. So did the Cree. As I wrote previously, that Finnish design was mean to be pulled by several men on skis. It was meant to accommodate a battle-ready machine gun or a few crates full of ammunition, this is one of the main reason why it's so wide. Very interesting... New Rule of the trail. If you see a bunch of white smocked serious looking guys hauling a sled w just maybe a water cooled machine gun on it...give way, let them pass! Mangrove, thank you for adding more information, clarity and pics to this thread. Here's a link to "JR 27" ahkio designed by a Finn in the 1990s. If made out of wood and plywood, it weights around 5-6 kg. There's a 350 page study "Exploding wilderness: guerrilla-type activities in the Finnish art of war" by Palokangas that you might find also interesting. 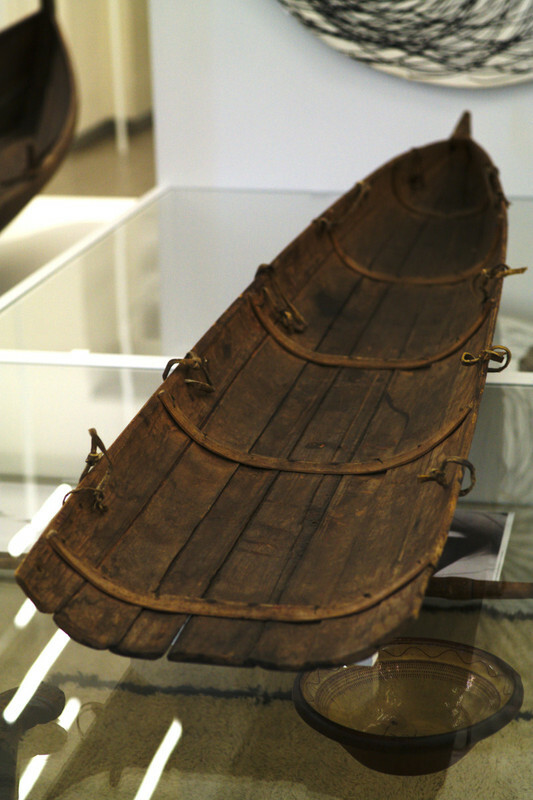 Veturi from Rovaniemi, Finland, being displayed at the National Museum of Finland. Wow that is a nice piece!! actually these Design works very well in the mixed scandinavian environments (frozen lakes and rivers, deep forests, hills and mountains, tundra...). 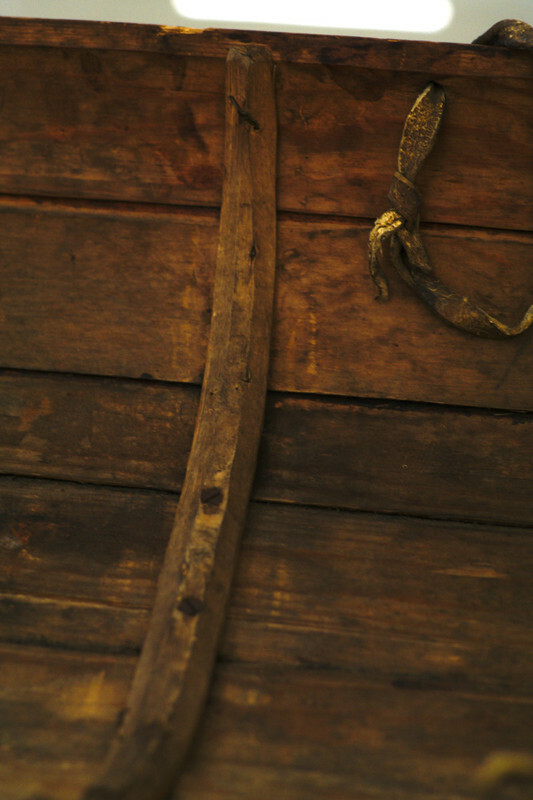 One of the differences to pulling a canoe is the overall smaller size of a pulk or akhio. Even the biggest are not as big as a 16 or 18 feeter. 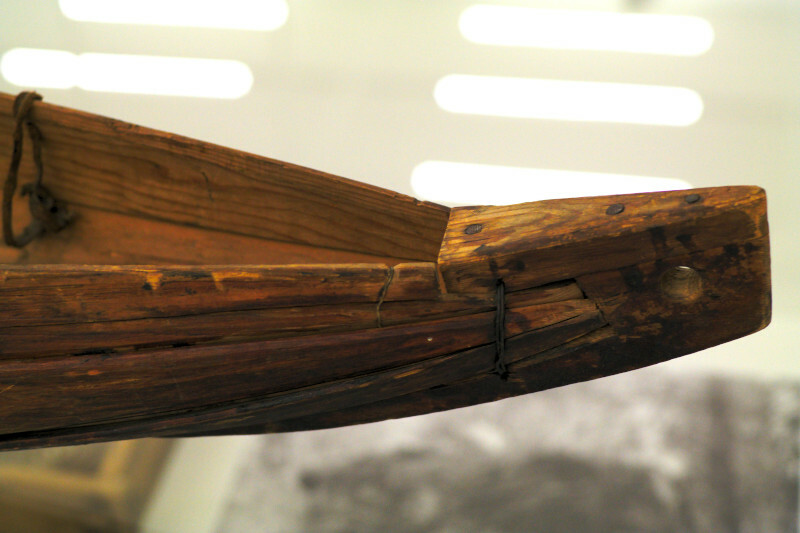 Compared to a canoe the pulk will have a big secondary stability against tipping/rolling. The flare of the sides will provide the same or more surface in soft snow to bear the load like a flat bottom. The wood was sealed and hardened for good sliding with pine tar (this was also used for "waxing" ski). I think the main reason for the different designs of toboggan and pulk/akhio was the availability of tools and materials that influnced the building traditions. In northern Scandinavia iron tools were invented by trading in the early middle ages (the "viking times" in that region) whereas north american/canadian indigenous people had to work with stoneage tools much longer. 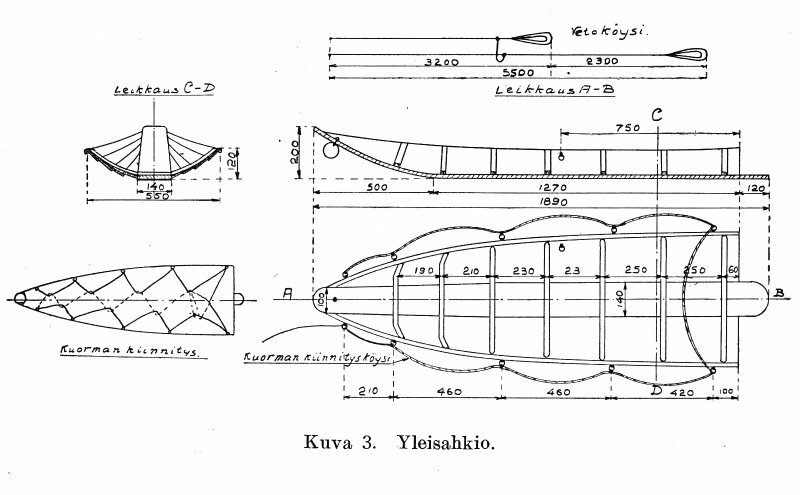 The sami and fins could develop more sophisticated designs and choose the same building techniques like their boat builders (actually the same craftsmen builded boats and pulks).